Purfex is a family company owned by Glen Wilkin-Holland and Fraser Moreton. 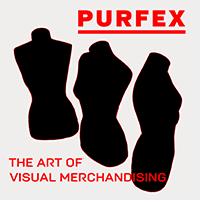 Since buying the company from the Purdy family in April 1998, they’ve seen the product line grow from strength to strength, and Purfex’s reputation restored to its former glory – “renowned visual merchandising firm” is how CounterAction describes us. The history of Purfex goes back to 1939, when Austin Purdy, a pioneer and visionary, began repairing and restoring mannequins from the basement of his parent’s home. He built the firm into an industry leader over the decades, with a solid and very credible reputation. Purfex led the way in bringing leading edge international trends and products into the New Zealand market in the 50s, and was still doing so when Glen Wilkin-Holland first became involved in the mid-70s. The legacy of Austin Purdy lives on in the creative family Glen and Fraser have built the business into. The management and staff have a passion for the industry, foster innovation in design and manufacture and have a bold vision for where the industry is heading, and how Purfex can lead it there. Glen and Fraser have seen the company go from strength to strength in the past two years, and have embarked on bold new initiatives, both here and overseas. 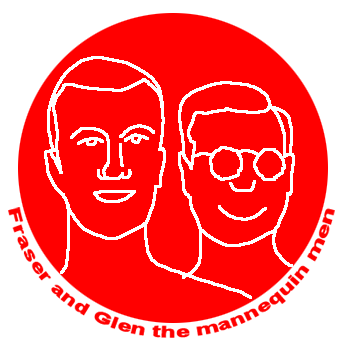 But it wasn’t until Euroshop ’99 in Dusseldorf that they realised that Purfex is right up with the best in the world – in quality, breadth of range and design. Glen and Fraser have actively strengthened Purfex’s overseas ties, while developing fresh new lines at home that have seen them grow to dominate the New Zealand market. The growth of the company is such that Purfex is now looking to the export sector for future growth, developing links with Australian retailers. Glen says branding in the industry is stronger than ever, and believes there’s never been a better way to sell apparel. The Mannequin reflects today’s global village and sells apparel in different forms. Classic calico covered forms are waking up in silver PVC, textured fabrics, shocking satins and white linen. Stainless Steel, Brushed Aluminium and Raw Steel are HOT! 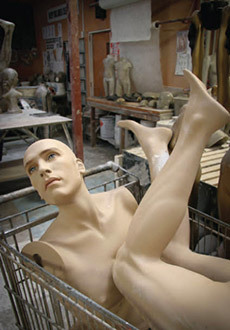 The Mannequin has evolved in many forms, re-inventing itself along the way. 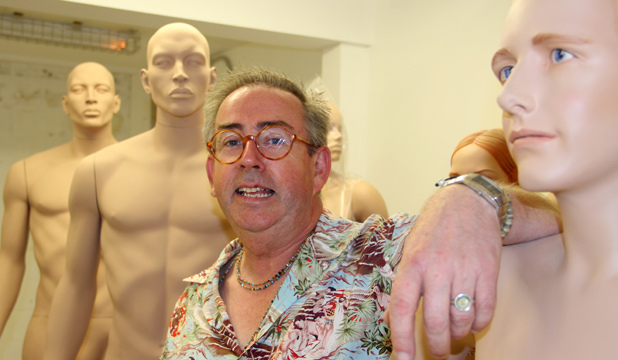 Glen Wilkin-Holland believes we’re only just beginning to see what can be achieved in the world of visual merchandising.